As your family grows, an extension provides the extra space needed. 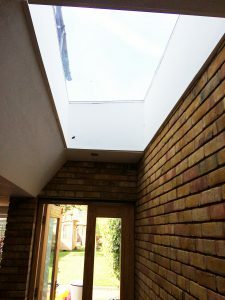 It could be a ground floor extension for a bigger kitchen/dinning room or to add more light to your living room, or it could be a loft conversion for an additional bedroom and bathroom, or even a two floor extension to provide a complete solution and substantially increase the value of your home. We offer the services to design and produce all the drawings and documents needed to pass building regs, planning permissions and party wall notices. Planning applications, Lawful Development certificates, Pre-application advice, meetings with planners, Discharge of conditions are part of the services we offer. We have a wealth of experience to see you through the hurdles and reduce the stress that can sometimes come with these areas.